Looking to build muscle and get to a particular physique? There are several different muscle building foods that can, in addition to working out, get you to your desired figure. Here are just a few of the foods you should be eating to gain muscle. Carbohydrates are a must when looking to build muscle. Carbs will help prevent your body from using the protein you eat as an energy source rather than a muscle building source. In addition, carbohydrates will provide you with the energy needed to work out longer and lift heavier objects. Next on the list of muscle building foods is making a protein shake for yourself. There are several different kinds of protein shakes you can prepare for yourself, but find one that suits you best. Casein shakes are best to take during the night because of the time it takes to absorb them. This way you can keep your stomach fed throughout the night. In addition to protein shakes, you also want to eat foods filled with protein. Some protein foods that you should include in your diet consist of lean chicken or turkey, fish, eggs and shellfish. You should include one of these foods in each of your meals throughout the day. Lastly, it is important you drink an abundance of water throughout the day. You really cannot drink too much water, but it is vital you are consuming at least six to eight glasses per day. There is a large list of muscle building foods that you want to include in your diet. With so many options to choose from, it will keep you from having to eat the same thing over and over. 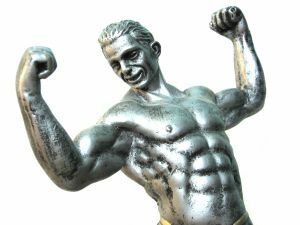 Try to include some of the foods listed in this article into your diet to help you build muscle along with working out. Contact Us if you would like a private consultation with us about your health online. Join in and write your own page! It's easy to do. How? Simply click here to return to Body Building Directory.